As the weather warms up here in the Minneapolis area, one thing that should be on your radar screen is pest control! In Minnesota, we’re lucky that our winters are harsh, which typically reduces our pest problems during this time of year, but come spring you better look out, because the insects are back! At Eco Tech, every year we get a flurry (no pun intended) of calls in the spring as our customers awake from their winter slumbers to be greeted by one too many creepy crawlers. If that’s you right now, feel free to reach out to us today about our comprehensive spring insect treatment at your home or business. Benefits of an Early Spring Insect Treatment? There are a whole host of reasons why it makes sense to go ahead and get on our schedule for a spring insect treatment. Get a jumpstart on the warmer weather – As the weather begins to turn here in Minnesota, it’s important to get ahead of the insect infestations at your home or commercial property. While our spring treatment will not only take care of any active insect infestations, but it will also have a residual effect that will keep your property protected for several months to come. Get on a rotation with an experienced pest control company – At Eco Tech, we’ve been in the pest control business for more than 2 decades. This has allowed us to devise an effective pest control management plan that works for our clients. Why not go ahead and ensure you’re on our schedule so you won’t ever have to worry about an insect infestation again? Save money – Yep, you heard right! By working with a reputable pest control company you can actually save money. We use effective and safe products that we can get at much cheaper prices than the overpriced and often ineffective products you keep buying from the big box stores! Relax – Put away the DIY pest control chemicals and leave all your pest control needs to the pros at Eco Tech. We’re properly licensed and take all of the necessary safety precautions to ensure you, your family and our employees are always kept safe. 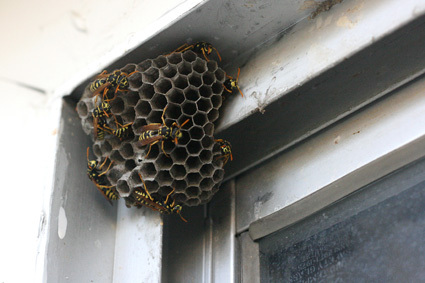 At Eco Tech, we do our best to utilize all-natural solutions for insect control whenever possible. This way your children and pets are always safe. To learn more about our comprehensive pest control services, feel free to reach out to our team today by phone at (763) 785-1414 or via email using our online contact form.